Gita and Kant: Ann Ethical study- The Bhagaved Gita inculcates the threefold method of Karmayoga, Bhaktiyoga and Jnanayuga, The word Yoga is attached to the term Karma to coin the new technical term Karmayoga by the Bhagavad-Gita. The Gita ethics is the ethics of activism Karmayoga. It is not the ethics of inaction or renunciation of action Sannyasa. It does not teach antisocial escapism. Both renunciation Sannyasa and discharge of duties with detachment and conductive to the highest good. The life of action is better than renunciation. The ethics of the Gita is not ascetism but perfectionism. The highest good of an individual is the self realization though selfless pursuit of the good of humanity Lokasamgraha. There is some similarity between the Gita ethics of Niskama-Karma and Kant’s ethics of duty for duty’s sake. Both enjoin the performance of duties for the sake of duty without being actuated by love, hatred, fear, anger, greed and other emotions. Both enjoin the performance of duties any desire for fruits or any consideration of ends and consequences. Both are anti-utilitarian so for they resemble each other. The present work is quite well studied containing both comparative and critical account on two prominent ethical views of the east and the west, i.e. Gita and Kant. The gamut covered is very vast, and despite that, the scholar has neither missed an important point nor dwelt on superfluously. Right from the Vedic to the system of Vedanta and from Pythagoras to Ayer, the ethical views are surveyed authentically. The exclusive treatment in detail on the ethics of the Gita and than that of Kant, in separates chapters after the survey of earlier eastern and western views respectively, has added to the credibility and value of the main theme. The remarkable point here is that the sheds light on the point and issues on which the two ethical views differ. The difference in terms of teleological viz-a-viz jural/leagal approach is very signification. Similarly, the Gita approach of love for humanity and the supreme self with deviationism accommodates feeling. i.e. self-realization, while Kant’s categorical imperative does not accommodate that and thus ascetic, formal and rigorist. This is a good pointer towards the distinction between the two views. It is believed that this work will be an important addition to the field of ethics of East and west and will be warmly received in India and abroad. Samir Kumar Mishra, Ph. D. is a constant research in religion and philosophy. East and West. He contributed a dozen research papers in India and abroad. The Vedas, the Upanisads, the Ramayana, Mahabharata, and the Puranas are the foundation of Hinduism. The Gitas also are important treatises of the Hindus. The Bhagavad-Gita, which is a part of bhismaparva of the Mahabharata, is most important of them. It is most popular and authoritative work, and has various commentaries written by the Vedantists of different schools. It is called the Gita by the Hindus. It advocates dualistic monism, preaches the cult of Vasudeva-Krsna, and enjoins works –Karmayoga, devotion-bhaktiyoga and knowledge jnanayoga for the attainment of Supreme Self-Paramatman as the supreme and perfect person-purusottama. The other Gita preach other cults, and enjoin either knowledge or devotion, and regard works as auxiliary to it. They own their exposition of the methods of realizing Supreme Self to the Bhagavad-Gita they borrow their main ideas about sadhana from it, and adapt them to their cults. (14) advocates absolutism, prescribes the knowledge of identity, and regards works and devotion as auxiliary to it. ASTU. The Bhagavad-Gita inculcates the threefold method of karma yoga, bhaktiyoga and jnanayoga. The word 'yoga' is attached to the term karma to coin the new technical term Karma-Yoga by the Bhagavad-Gila. Here the word yoga is derived from the root 'yujir yoge' or 'yuj', 'to join', and therefore, it means 'the state of union', 'combination' and later on, 'device', 'method', 'technique'. In the Bhagavad Gita, the word 'yoga' and other compounds from it occur about eighty (80) times, wherein they more or less refer to the above meanings, and only four or five times do they refer to the Patanjala Yoga, as 'the cessation of mental states' - Cittavrttinirodha. Yoga is principally defined by the Gita itself as i.e. a special skill or art of working. In this sense, occasionally, it is used as a synonym of Karma Yoga and it appears for the first time in the Gita as yoge buddhih-wisdom of the Yoga. This forms the beginning of the exposition of the Karma Yoga which is, in turn, the justification of the war. In this regard, the Lord Krsna, by referring to the irresolute people whose minds constantly engaged in the desire - prompted actions like yajna, become" disintegrated", says that one must become steeped in yoga (yogasthah) and perform actions to avoid such situation. Here the word 'yoga' is defined as i.e. equilibrium or equanimity or equality of the mind towards success or failure. Putting these two definitions together Karma Yoga means the equality of mind or samatvam towards the success or failure, i.e. desirelessness for the fruits of actions. This special art of working is called Karma Yoga. A person who lives in the world and performs karma skillfully in this way is called a yogi by the Gita. One is bound to prove a misfit in another's feld of action. There are different classes of men with different native endowments - gunas in the society. Their vocations - Karmas differ according to their different qualities - gunas. As for instance, the Brahmans are teachers and priests, because sattva predominates in their nature. The Ksatriyas are soldiers, because rajas predominates in their nature, to which sattva is subordinate; and so on. In fact, each class of persons ought to do its own duties, and refrain from meddling with other's duties. I feel fortunate enough that the Department of Sanskrit, University of Delhi considered me worth enough to investigate this problem. For this, I am thankful to the Department. For the supervision and altruistic concern of my preceptor, heartiest thanks goes to my revered and learned supervisor Professor Madan Mohan Agrawal whose intelligent supervision, equipped with modern and scientific methodology of conducting research; I went on with my work with a patience renovated from time to time by his inspiring and co-operative attitude. The occasional complications in my work sometimes made me feel frustrated and pessimistic. All such comments by him as, "Do the best and leave the rest, we are labour, just do the labour, bhagyam phalati sarvatram, swabhiman se jiyo", revived enthusiasm in me. He bliss me again by accepting my request to write the foreword of this work. 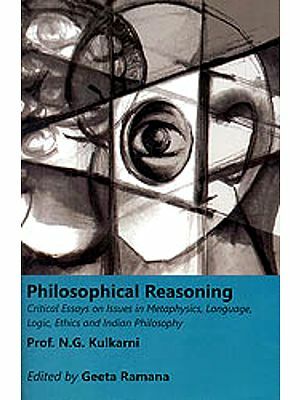 The words fail me in expressing due gratitude to this eminent scholar whose encouraging attitude and intuitive insight into the depth of philosophical thinking have helped me to complete the present work. The literature on the subject is undoubtedly vast that no single library in the capital could suffice to complete the task. I am thankful to the staff of various Library Systems situated in Delhi like University of Delhi, Jawaharlal Nehru University, Archaeological Survey of India, Ram Krishna Mission, Nehru Memorial Museum and Library, Teenmurti, Pusa Agriculture Institute, Central Secretariat Library and Bhogilal Leharchand Institute for Indology for their help in procuring some of the rare works of basic importance. It would be injustice if I do not recognize the works of my publisher i.e. Chaukhamba Surbharti Prakashan and particularly Mr. Neeraj Kr. Gupta and his team. My heartiest thanks to all of them for their endeavour support. I extend great affection to Mrs. Roma Rani not only as my better half but also as the mother of my child. Here, I do agree with Socrates. She kept me aloof from house-holds and provides the atmosphere to do the work. She gave some valuable suggestions while doing the yomen's task at par. I am thankful to my junior Dr. Rajesh Kr. Mishra for his helpful attitude. I wish him all the best for his better future. I would like to thank to all the family members and friends who co-operate me a lot and finally without the grace of Krsna, who indeed fathom the unfathomable, it could not come before you all. The modern age is an age of transition and of astonishing contra days, man has reached the heights of civilization and culture they never reached before in the history of human development is scientific progress has given him almost unlimited power a to control nature, even to the extent of making successful attempts cross space and to reach the other planets in the universe. This scope, power and marvellous success have to a great extent led man astrey. The result is that he has neglected the ethical aspect of Life even. Science has benefited men a lot in developing his material resources but at the same time it has deprived him of his spiritual and ethical development. The invention of machines and tools, industrialization and complex technologies have given rise to a commercial civilization which puts a premium on wealth over finer human values and sentiments. A man in the village who is untouched by this civilization even today, values love and affection more than wealth, but the urban population, particularly in the advanced countries of the world, suffers from economic prejudice even when it has to deal with human problems. Accusing western civilization of hypocrisy in the matte the 'sacred' worth of the individual, Hocking says, "While westerners go to the orient and talk about the sacred rights of individuals, nevertheless street-car companies in America which kill a statistical number of individuals per year, have been known to decline to install safety-fenders, on the ground that the cost of the fenders would greater than the annual indemnities for lost lives and limbs. These are some examples where we can see clearly that the negligibility the ethical aspect of life in so-called advance society and civilization. Western civilization, in laying more emphasis on material progress, has brought about a disparity between the theory and the practice of philosophy, and has kept science apart from religion and metaphysics from ethics. This dualistic attitude of the west has been responsible for the social crises and political conflicts that have disrupted the normal life of individuals and have brought man to the brink of committing atomic suicide. In spite of man's mastery over nature the common 111an of the world is not at peace. Doubt, despondency and fear are rife in the world today. The most progressive countries are in greatest danger. In the face of these circumstances the need of the hour is the spiritual regeneration of human society. We should al way remember that science and spirituality should go together. Science is a good servant of human being but absolutely a bad master of the same. On the contrary, the ethical ideals laid down by Indian seer: thousands of years ago are undoubtedly universal standards that car be followed at all times, and are a lasting cure for the evils which have crept into modern society because, for them, these ideals are never regarded as mere theories of morality but as modes or way of life by adopting which the individual and society could develop in a har manner. But even in our own country it took a one-sided turn due to some unforeseen and unavoidable historical vicissitudes. Thus there appeared a gap between the theories and the practices of the ideals and hence, the ideals were never fully translated into practice. Indian philosophy originally accepted the propagation and practice of the four purusarthas. As we will see in the sequel, these four and of life are respectively associated with the physical, mental, intellectual and spiritual perfection of the individual and of the society, but by the "Passage of time this integrated view of life was neglected. In this was the partial emphasis on one or two of the four ends of life brought about confusion amounting to conflict between the various schools c thought in India and thus, human values are neglected by the majority As a result, forms and ceremonials have taken the place of religion and selfishness has suppressed the altruistic feeling. Thus true ethic, life is the need of the hour in the east as well as in the west. This nee can be met only when disinterested research in the field of ethics is carried out. The aim of the present work is to unfold the real meaning ethics in eastern society as well as western. As we know, the understanding of every subject requires a critical analysis and pragmatic interpretation in the modern age of rationalism and science. My topic, therefore, also indicates that my method of research would be critical as well as comparative regarding eastern and western ethics in general and the ethics of the Gita and than that of Kant in particular. Apart from these, my method of research would be analytico-synthetic as well. With this effort we may hope that we may help to bring about a synthesis of oriental and occidental thought or eastern and western thought. It should be admitted that ethics as a separate subject is the product of western philosophy particularly the ancient Greek thought. In India, ethics was always considered as a part of philosophy and religion, and therefore it was never thought necessary to study it separately. However, it does not mean that Indian philosophy was ever deprived of ethics. We will see through this work that each and every system of Indian philosophy is replete with ethical attitudes and regards the highest moral life as the only way to attain the spiritual perfection, which has always been regarded as the summum bonum of life. It should be noted that transcendence in Indian ethics is an asset to it which makes up a deficiency inherent in western ethics. Western ethics is through and through relative and it ends as it begins with paradoxes and puzzles. It cannot overcome this defect because the relativity of western ethics cannot take it beyond contradiction and conflict which are bound to arise as long as perfection is not regarded as a state attainable by an individual even in his life-time. To rise above the antinomies of life cannot be understood by the student who is trained in western logical analysis which declares metaphysics a nonsensical enterprise. Logical positivism, which aims at the elimination of metaphysics, has been severely criticized even by western philosophers, yet the occident is not prepared to believe that there is any possibility of realizing a metaphysical state, having attained which an individual can actually transcend the contradictory experience of heat and cold, pleasure and pain, praise and blame, loss and gain and so on. It is only by resorting to spiritual discipline and a stern ethical attitude of mind that individual realizes the truth of transcendence and having once attained it he is capable of communicating it even through speech, though imperfectly. In brief, we can say that in eastern philosophy metaphysics and ethics present an organic whole. a concrete reality, and not an abstract notion or a queer combination or a paradox. The ethical ideal is not merely a symbol but an actual state of existence realizable in life. The only evidence of such a truism lies in practicising the ethical code and uniting the self with reality, which is the source as well as the goal of existence. Although Indian ethics did not exist as separate subject, nevertheless the ethical aspect of the same is as old as Vedic thought or even human existence. This remoteness of the subject is undoubtedly a handicap from the point of view of research. In the absence of any historical proof, one has to depend upon inference and internal proof with regard to the chronology of ethical practices. An another drawback one has to face while studying the philosophical theories of India is the impersonal attitude of the propounders of these systems. They avoided coming into the limelight and preferred to expound their ideology anonymously partly because of their sincerity of purpose and partly because they always tried to prove that all the philosophy was drawn from the Vedas.